With all the recent PVP I've been doing in Aideron Robotics, chiefly against Russians in Old Man Gang, we've been faced with a higher class of solo/small-gang PVPer than any of us is used to. Chiefly, the kind that ALWAYS has fleet boosts, and employs pirate implant sets. These have made for some very tough nuts to crack, and have made defending Heydieles a real challenge. Our answer has been to respond, as much as we can, in kind. I've pushed two of my booster characters into the system with a full suite of fleet boosters. I've been keeping a steady stream of fitted ships on contract where pilots can quickly grab them down and get back in the fight. With the recent tide of allies and a generous US holiday, we've been able to turn the system in our favor. Aideron Robotics has recently taken away OMG's POCOs (#1, #2), and really stomped down Caldari challenge to the system. This isn't enough, and we've been scrambling for more to answer OMG. There's no way we're going to push pilots into pirate sets and expect them to beat OMG at their own game, but we can leverage Combat Boosters! The big problem with boosters though is convincing people to try them. With the really steep penalties for use, and pain of transport/sale, most pilots completely discount them. Though, if they are properly utilized, Boosters can be a real force multiplier when used in the right roles/ships. Unfortunately, there are no really good definitive guides on drug use. Ripard Teg's Fit of the Week segment usually highlights individual boosters when they make sense in a fit, and there are some written guides explaining how they work in wiki wall-o-text fashion, but there isn't a great go-to guide for them. To push boosters on our greener members, and keep them active in our FC's minds for utilization, we need something better. Recently, Aideron Robotics has been pushing a "Making a Better Pilot" series. 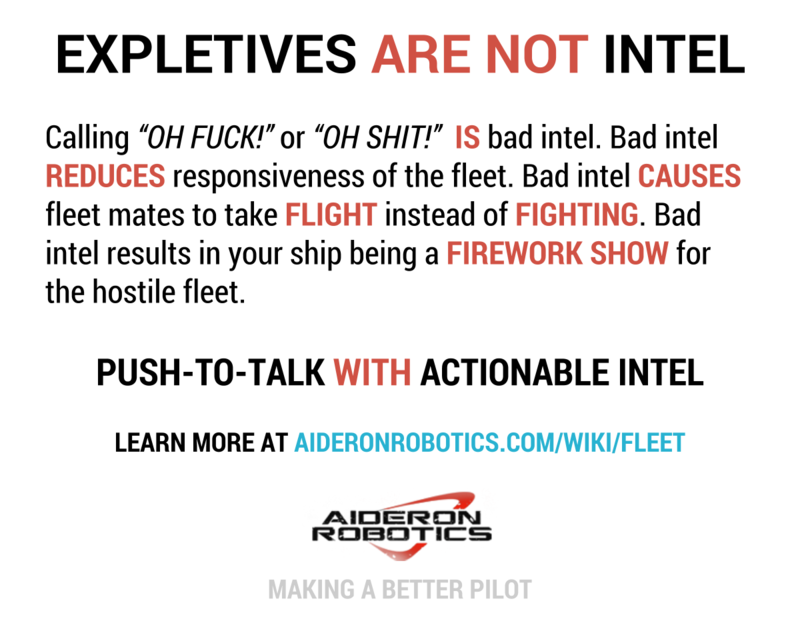 Similar to a lot of TEST/CFC propaganda, cute infographics to try and curb bad behaviors or illustrate less-intuitive piloting ideas. 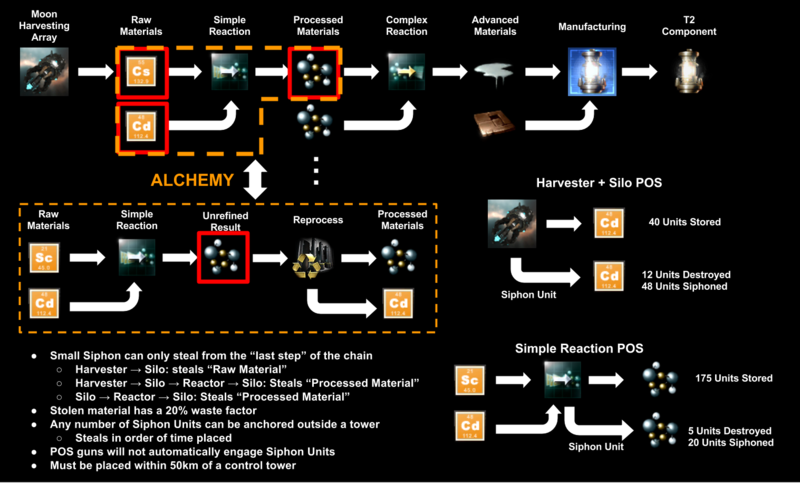 Since my moon mining flow chart was so well received, especially with the siphon additions, I figured this was a good chance to fill a need. Also, I'm eyeing Booster production, but the market throughput is kind of anemic, so I figured we could kill a lot of birds with one stone here: Increase demand in general, improve Aideron performance in PVP, line the industry wallet, and contribute something to the overall meta (which I have been neglecting for the last month or so). For the graphically retarded, Google Drawing in Google Docs is an absolute life saver. Pair the image dumps(link) with some text and a little graph magic and GIMP. The biggest problem I ran into is I wanted a radial bar graph... and had no easy way to make one. Seriously... why is this so difficult? The hope was to have a bit of a gauge to illustrate the various grades + skills combinations. 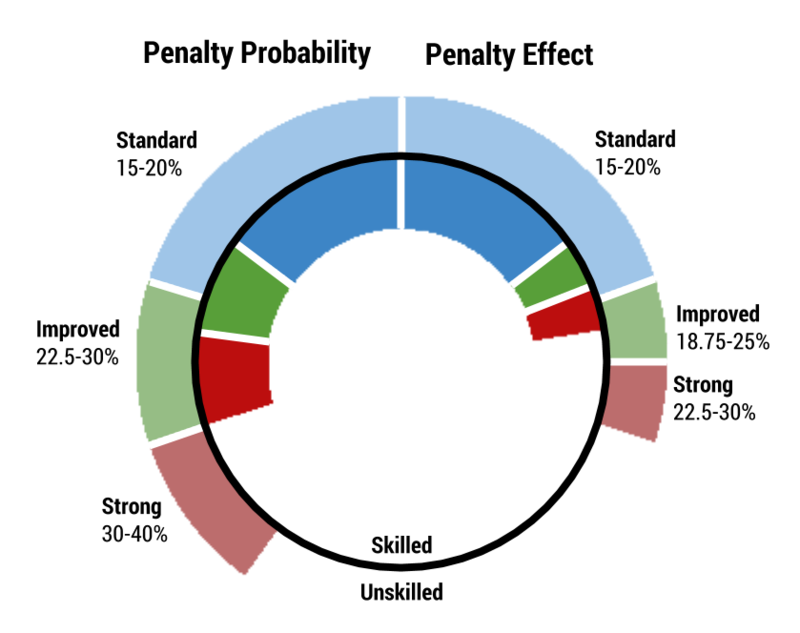 The hope was to illustrate that, with the appropriate skills, the chances of incurring a truly unacceptable penalty was very low. Unfortunately, explaining probability to the masses is always a frustrating endeavor. Though I think I illustrated the reality pretty decently by pairing my chart with a character sheet view. Released infographics after the break! Thats one of the best looking and informative posts I've seen anywhere in some considerable time. I've known John for a while but really only started reading his stuff recently. It seems I've been missing out. Great blog post. Awesome information presentation and writing. I will start using boosters now thanks to this! Awesome graphic!!! We need more of these tools. Slight problem....You have two parts contradicting each other. Look under the "skills" and the Penalties" portions...Neurotoxin Recovery and Neurotoxin control descriptions are criss-crossed. yeah, I know. Reddit brought up a few typos and the master version has been updated. Clears some stuff up. I always thought you got the negatives NO MATTER WHAT.